You need to get to Colombia and see what all the hype is about. Beyond the bright colors and bustling tourism you’ve seen in the media and online, you’ll experience a country in flux and a limitless multiplicity of culture, music, language - and get a chance to interact and exchange with folks who make the city what it is! Founded in 1533, Cartagena was once the primary Caribbean port for Spanish explorers and was a frequent target by pirates and other countries. Now, the only thing you need to protect yourself from here is the sun and packing it all into 5 days. 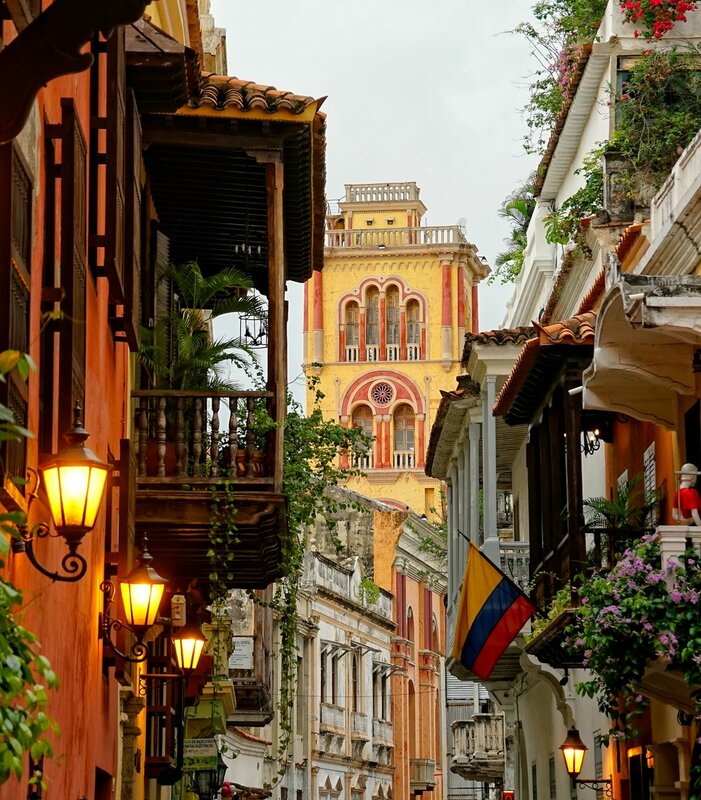 Warm 365-days a year, Cartagena offers daily history lessons via its architecture and music, dialect and neighboring towns, and is a perfect destination for adventure and relaxation alike. On this 5-day experience, you’ll see what all the fuss is about during curated experiences with the SMT team, local guides, and a bunch of special guests. Arrive to the crown jewel of the Caribbean. Transfer to hotel. We’ll spend our first afternoon getting to know the city with a walking tour of the historic downtown with a native and bilingual guide from Cartagena. Actually, he’s the #BestGuideInCartagena - Cartagena is only Cartagena if you’re walking downtown with him. Get to know your cohort with drinks at night. Start the day off with a tour of the bustling Mercado Bazurto and learn about its history and relevance in the city’s inner workings, while tasting an intoxicating array of tropical fruits and other local goodies. Free night on the town with suggestions by SMT. Take a full day to enjoy the famous Islas Rosarios in a private boat. Enjoy another beachside lunch and take an extended dip in sparkling turquoise water. *Snorkeling options available. OOP expense. At night: shake a leg at Bazurto Social Club or other famous salsa spots. Conversely, take in the local scene with a dinner in Getsemani plaza. Suggestions on us! What is Palenque? The first free town of the Americas. Rich in history and a Unesco-protected language, fresh with culture and sounds, this is a great way to expand your understanding of Cartagena’s Afro-Colombian history. Cultural presentations, walking tour, and lunch on site. At night we suggest: Go big! Have a cocktail at the top of the Movich or spring for a full seafood dinner at the famous La Cevicheria in El Centro. 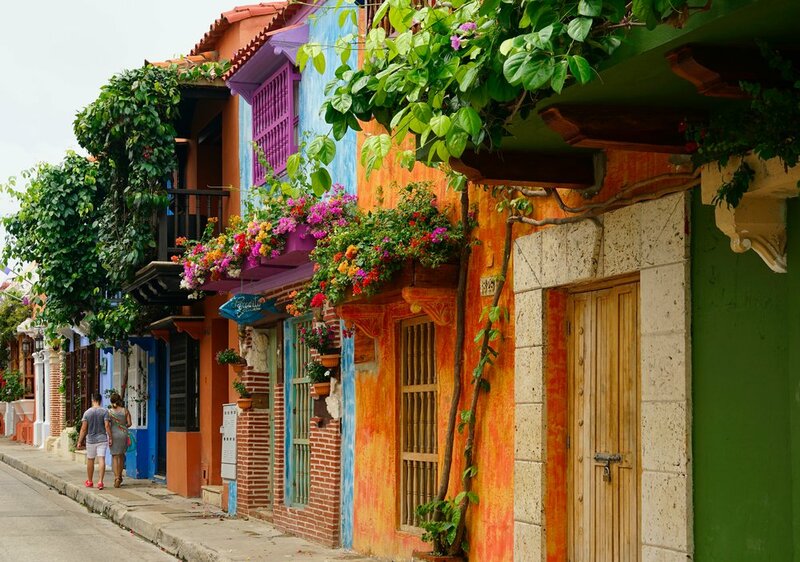 Guests will explore Cartagena on their own and SMT will be on hand to put travelers in contact for any other local experiences they might like to have, or spend the day looking for souvenirs and exploring more on foot. Deposit of $200 required or paid in full - we’ll confirm via email.